Baron Batch and Tor Athletics! Officer Appreciation Day! Thank you to our SROs! North Elementary STAAR Pep Rally! LMS Student Council helps serve at the Kiwanis Pancake Supper! Rae Lynne, our future meteorologist! LHS Phlebotomy Class observes at the LHS StuCo Blood Drive! Be a Hero, Not a Zero Day at North Elementary! Michaela with Tor Alumni, Judge Ann-Marie Carruth on job shadowing day! Dads and Donuts at North Elementary! Ag Mechanics built Picnic Tables for North Elementary! Construction Tech completed and sold their storage building project! Click on the link to download and print the 2019-2020 Athletics Participation Packet. The Athletics Physicals will be done on May 18th at Medical Arts Clinic. All 7th, 9th, and 11th graders are required to have a physical as well as any athlete who has been under a doctor's care during the 2018-2019 school year. 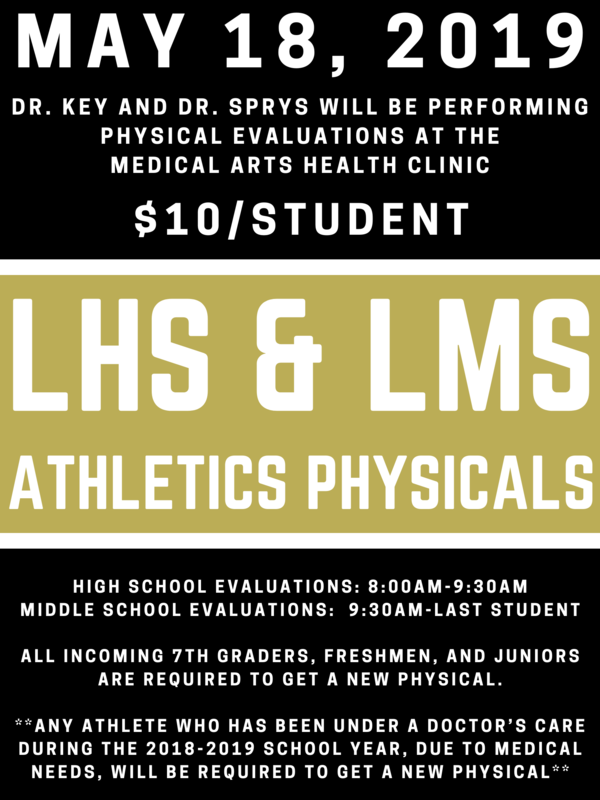 Physicals will begin at 8:00am for LHS and 9:30 for LMS. 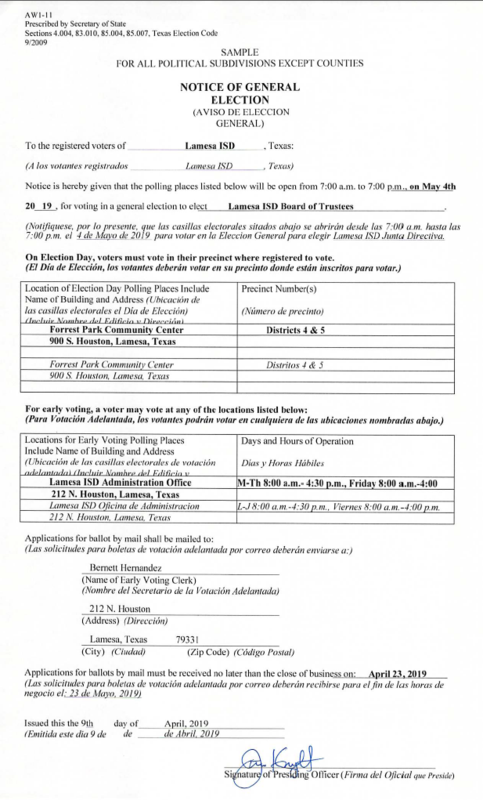 Please contact Yvette Bustamante at LHS for more information. 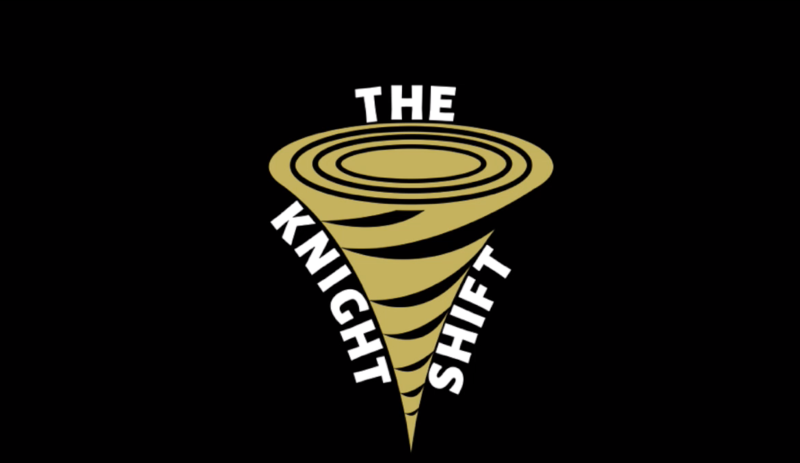 The Knight Shift are short segments featuring the Lamesa ISD Superintendent, Jim Knight, showcasing the great happenings within our district! It's always a great day to be a Tor and The Knight Shift will showcase a few of the reasons why!